Woodbury PTA: Get your tickets for Mighty's Haunted Maze! Get your tickets for Mighty's Haunted Maze! Are you ready for the 2017 Haunted Maze? 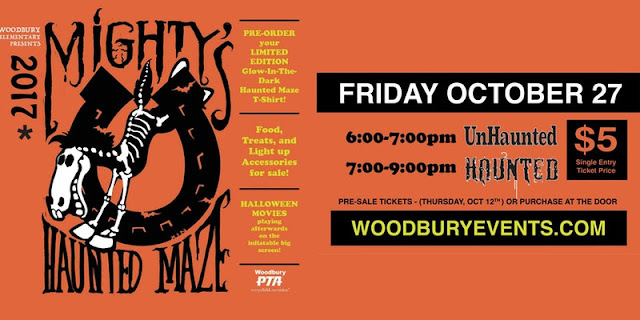 Brought to you by the Woodbury PTA, Dad’s Club, and the 6th Graders, this year’s Haunted Maze promises to be bigger and more Spook-tacular than ever! Haunted Classroom – Boys and Ghouls, take a seat in our haunted classroom with some of your favorite teachers! Bridge of Scares - Do you dare cross the bridge? If not, turn back now! This year, we've created a very limited amount of super cool GLOW IN THE DARK Haunted Maze T-Shirts. 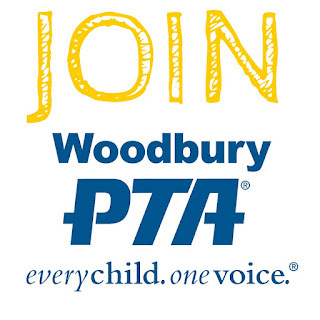 Be the envy of your class as you support your PTA and display your Woodbury pride. Order yours now before they're all sold out! Note: Infants in carriers are free. Tickets are required for all other children and adults. No strollers will be allowed inside the actual maze, but you may park them at the entrance and use them outside the maze. The 6th Graders will be selling TONS of food and drinks at the event! Come with CASH to buy Pizza, Candy, Cotton Candy, Chips, Popcorn, Dippin Dots, and drinks! Eat with friends and family at the tables before or after your journey through the maze. Stay for great Halloween movies on our giant inflatable screen! Be sure to bring your printed tickets or e-ticket on your smartphone (emailed to you) on the day of the event. Disclaimer: Please note that this event is weather permitting. In case of rain, the Maze will be cancelled and no refunds will be issued. 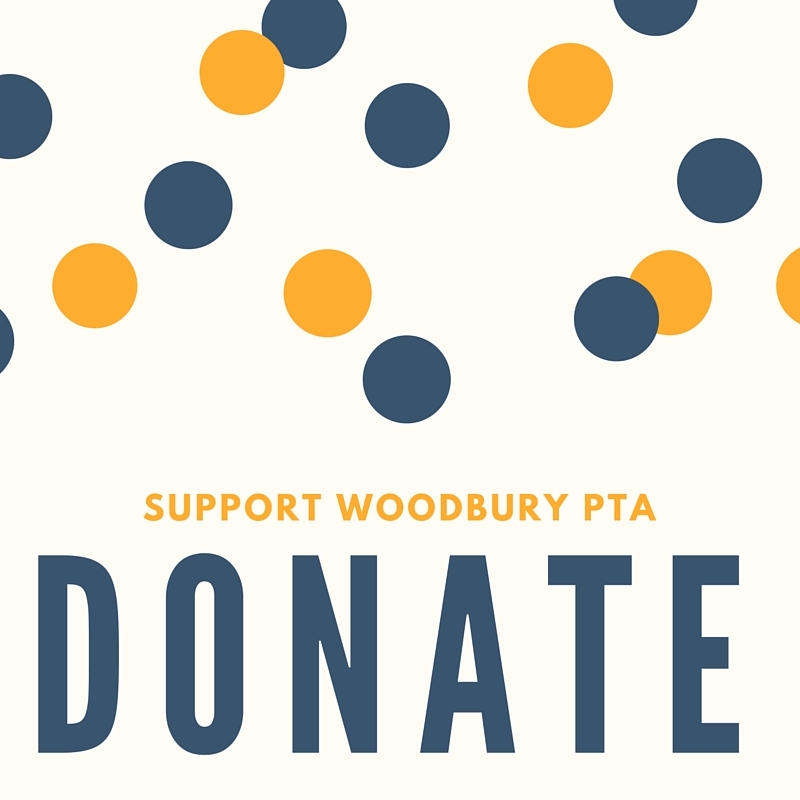 All proceeds will be donated to Woodbury Elementary PTA. Wow! Haunted maze is exciting. The highlights are tempting . it seems very enjoyable. Thank you for sharing this detail it will pursue us to attend at any cost.